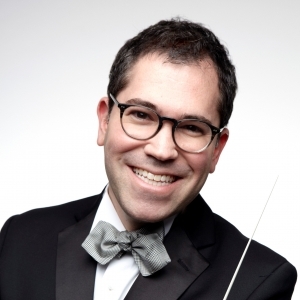 Leading Broadway music director and conductor, Andy Einhorn, directs concerts this year with the Boston Pops, Cincinnati Pops Orchestra, Calgary Philharmonic Orchestra, National Arts Centre Orchestra, and the National Symphony Orchestra. He's currently the Music Supervisor and Musical Director for the Broadway productions of Carousel and Hello Dolly! Einhorn’s previous Broadway credits include Holiday Inn, Woody Allen’s Bullets Over Broadway, Rodgers + Hammerstein’s Cinderella, Evita, Brief Encounter, The Light in the Piazza, and Sondheim on Sondheim. He recently served as music director and conductor for the Châtelet Theatre’s production of Sondheim’s Passion in Paris and Einhorn made his New York Philharmonic debut with world-renowned trumpeter Chris Botti. Since 2011 Einhorn has served as music director and pianist for Six-Time Tony Award Winner, Audra McDonald, performing with her at such prestigious orchestras and venues including The Philadelphia Orchestra, San Francisco Symphony, National Symphony Orchestra, Los Angeles Opera, Avery Fisher Hall, Carnegie Hall, Walt Disney Concert Hall and Teatro Real, Madrid. They recently recorded performances for an upcoming telecast with the Sydney Symphony at the Sydney Opera House in Australia. Einhorn has also music directed for Barbara Cook at Feinstein’s and Toronto’s Royal Conservatory of Music. His tour work includes Sweeney Todd, The Light in the Piazza, Mamma Mia!, and The Lion King. Einhorn’s work can be heard on the current touring production of Rodgers & Hammerstein’s The Sound of Music. Einhorn has worked at Goodspeed Opera House, Signature Theatre, Oregon Shakespeare Festival and PaperMill Playhouse. He was principal vocal coach and pianist for Houston Grand Opera’s An Evening with Audra McDonald, a double-bill of Poulenc’s La Voix Humaine and LaChiusa’s Send. Recording credits include Bullets Over Broadway, Cinderella, Evita, Sondheim on Sondheim (Grammy Nom) Stage Door Canteen and McDonald’s newest release, Go Back Home. He served as the music director for HBO’s Peabody Award winning documentary Six by Sondheim and music supervisor for Great Performances Peabody Award winning special “Broadway Musicals: A Jewish Legacy” on PBS.